The responsibilities of a mechanical engineer are wide-ranging, and go far beyond the design of machinery. In many cases, engineers need to integrate new technologies into an existing plant or factory. 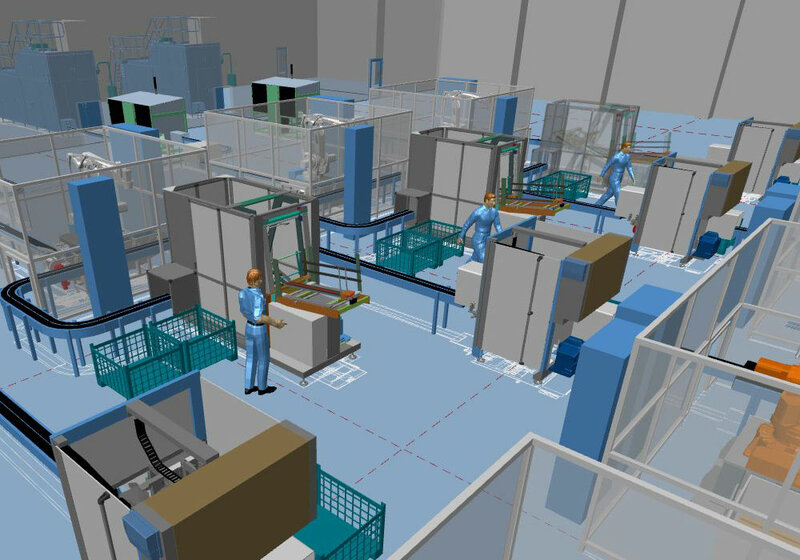 The design of individual machines and conveyor units in 3D has become commonplace, and is now performed by nearly every supplier using 3D CAD software (e.g. Creo Parametric by PTC). These programmes focus on the detailed design of machines and their component parts, right down to the last screw. Unfortunately, this quickly creates a huge amount of model data, which is impractical to work with when it comes to laying out an entire production line or factory using a regular 3D CAD system. Consequently, the layout stage is often still performed in 2D. 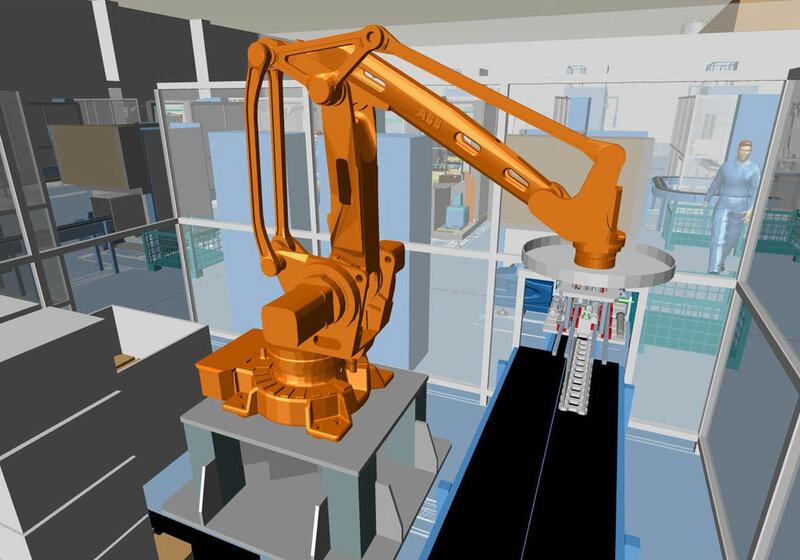 The latest high-performance 3D Factory Layout systems are purpose-built to handle large assemblies, and now offer the option of importing machinery models from 3D CAD directly into the overall layout. Using Factory Layout software Engineers can choose to layout their design in 2D or in 3D, but whichever method is used, the end result is always a 3D layout, with all the associated benefits of 3D. Many designers that are used to working in 2D can initially find it difficult to adapt to full-blown 3D design. 2D layout can also be faster. As a result, some 3D Factory Layout systems offer 2D-based layout as a support feature. This enables designers to layout their designs in 2D as usual, while at the same time, a 3D model is automatically created for them. At any time during the layout process the user can visualise and analyse their design in full 3D. One system that combines factory layout with mechanical handling is MPDS4. 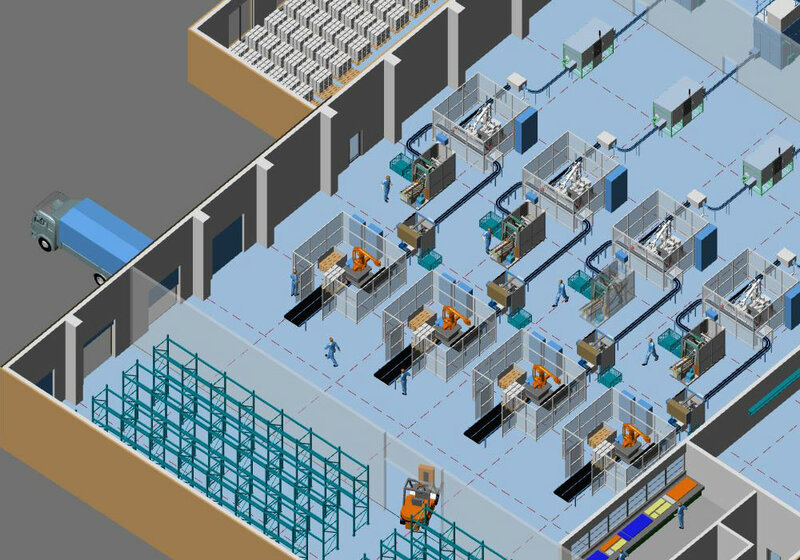 Its Factory Layout and Mechanical Handling modules include all the functionality needed to quickly design large production lines, and even whole factories, in 3D. Furthermore, accurate parts lists and detailed 2D construction drawings can be automatically generated directly from the finished 3D design.